Throughout California this year people have forgone their lawns and water greedy vegetation for sustainable, less demanding landscape solutions. We have embraced, explored, and pioneered new ideas on how to live more conservatively in this harsh dry spell. 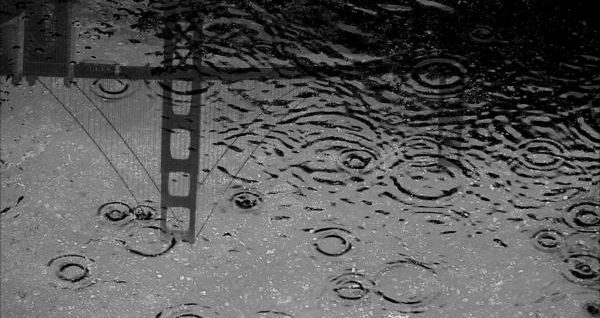 Now, after four years of intense drought, El Nino is finally predicted with the promise of some much needed moisture and home owners should be getting their properties ready. It’s time to prepare these drought resistant yards and homes for the incoming rains. El Nino’s storms can pack in some heavy winds, so make sure your property is clear of any debris that could blow around. Store away or secure your outdoor furniture and tidy up your trees by removing any dead and loose limbs. Spend an afternoon packing up any miscellaneous loose items around the yard and put them away for the season. Close any open skylights that may have been opened for the summer. moisture resulting in clogged drainage systems. Also, with little water running through them during these last four years, sediment build up can cause slow drainage you cannot afford in a storm. Clean and inspect your rain gutters and downspouts. After doing a thorough gutter and downspout cleaning, do a visual inspection to check for any gaps, sagging gutters, or loose connections, especially at the downspouts. Water runoff from your roof, driveways and patios should always be directed away from the foundation of your home and downspouts should deposit water into functioning drain systems or be day lighted at least three feet way from the foundation. Inspect your roof or hire a roofing contractor to check for any loose shingles or tiles, holes, sagging or other signs of damage and aging. 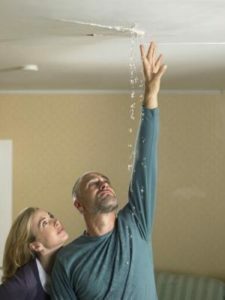 During the first rain of the season, check the interior of your home for signs of leaks and address them as quickly as possible. Mold can quickly grab hold in drywall and many other parts of the home posing health risks. Mold remediation can be very expensive if a leak is not caught early. 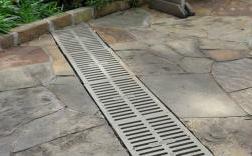 Check any retaining wall drains and make sure they are clear of obstructions. These should be checked after each storm to ensure they are clear for the next event. Many homeowners have let their lawns and planting areas go dry during this years restrictions leaving hardened, impermeable soil behind. If you have any bare patches of dirt or an expanse of dead lawn you will need to make these areas able to absorb the rains. Loosen and turn over the soil in the planting areas and aerate the lawn. If you have not already done so, build berms around the trees and large shrubs that will catch the water and direct it to the roots. The beginning of fall is a great time to plant new vegetation, lay down pavers or set-up “rain gardens” in any of these barren areas. Aerating dead lawns will avoid puddling, increase water permeation, and stop excess run-off. Give us a call if you have any concerns at all and we will be happy to come out and discuss. Buy sandbags in case of flooding. These will need to be placed in front of doors and flood prone areas about 1-1.5 ft high. Investing in an emergency kit is never a bad idea for any family. 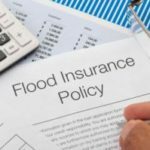 There are plenty of online services to guide you in creating one of your own, or you can purchase pre-made kits from any of the numerous emergency kit sites. Make sure you have an exit strategy. In the unlikely event you may need to evacuate your area, it is good to ensure you have already laid out a plan of action for your family to follow.